Rhode Island Federal Criminal Defense Lawyers - Oberheiden, P.C. A substantial record of success is needed when it comes to defending yourself against federal criminal allegations. Our firm (Oberheiden, P.C.) has represented clients across the United States. Our Rhode Island federal criminal defense lawyers can help you prepare if the possibility of a trial, if it is looming. Don’t wait if you have received a grand jury subpoena, target letter, or have been approached by agents from the IRS, DEA, FBI, or OIG. Here are some recent results in federal criminal cases. Parole simply does not exist when it comes to the federal criminal justice system. Serious crimes such as sexual abuse, drug trafficking, terrorism, and fraud all carry potential life sentences, and a variety of other crimes carry the potential for decades of federal incarceration. Defend yourself and your business from government inquests by calling Oberheiden P.C’s attorneys today. 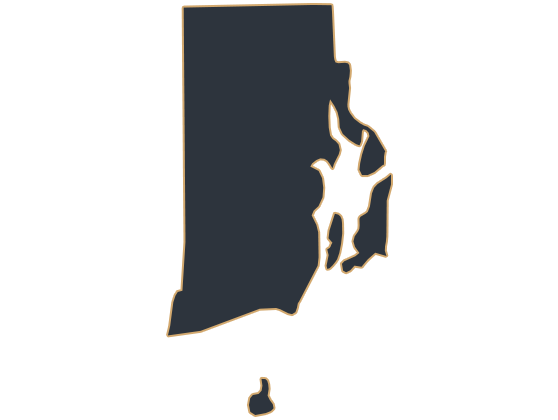 Our experienced Rhode Island federal criminal defense lawyers have represented many criminal defendants in trials and litigation throughout New England and the U.S., including Rhode Island. Our legal defense team carries decades of experience and many of our lawyers are former federal prosecutors who have seen both sides of federal litigation. We are available to represent high-profile clients (such as physicians, CEOs, politicians, lawyers, business owners, etc.) in the District Court for the District of Rhode Island (D.R.I.). Oberheiden, P.C.’s attorneys take pride in their many years of defending clients against federal criminal allegations. We explore all possible avenues to help you or your business avoid charges and get back to your normal routine and way of life. We have a substantial track record of negotiating with the government in order to achieve superior results and can do the same for you. Call our firm today. When an attorney from Oberheiden, P.C. represents you or your business, it is based on a relationship of respect and confidence. Our firm works closely with our clients to create a custom defense strategy that has a proven track record of success. Our clients are always made aware of the process by our Rhode Island federal criminal defense lawyers, and will take the time to help you make the right decisions. Even though we will begin our discussion with indictments, there are actually many other steps that come before this stage, including: the investigation, search warrants, administrative subpoenas, pre-charge resolution, and intervention. In federal criminal cases, indictments are utilized as a formal means to issue charges. An indictment usually signals that the U.S. Attorney’s Office has already presented evidence to a grand jury which has found “probable cause,” to exist against you or your business. What does this mean? Essentially, you could be implicated in a federal crime, or multiple federal crimes, all of which carry severe penalties. Is the government targeting anyone else as part of this investigation? If so, whom? What are the reasons the government started to investigate? What kind of information was provided to the government? Were proper procedures before, during, and after the issuance of warrants and subpoenas followed? In which way did the government request this information? Your attorneys can begin crafting a custom defense strategy once this information has been obtained. Have you been indicted or arrested? It does not necessarily mean that you are headed to court. The pre-trial process is fairly long, and an experienced legal counsel can secure a positive resolution by incorporating multiple defense tools. Your attorneys can utilize many different strategies, not limited to: raising factual arguments, raising legal arguments, attacking the U.S. Attorney’s Office’s case, and challenging the government’s investigative procedures. Negotiating with the Assistant United States Attorneys (AUSAs) who are assigned to your case is a substantial portion of the pre-trial federal criminal litigation process. Our Rhode Island federal criminal defense lawyers have spent decades honing their skills in negotiating with federal agencies since communication could be crucial in securing a pre-trial release, reduced charges, or reduced sentencing (or dropping charges entirely). Your legal defense team should commence with several important steps, almost immediately. Your Rhode Island federal criminal defense lawyers should be responding to motions, filing motions, attending pre-trial hearings, and partaking in other legal procedures formal and informal. This type of work can result in the dropping of charges, or exclusion of evidence from trial. In addition – pre-trial litigation could yield crucial leverage, which is needed to break through in plea deal negotiations with the federal prosecution. Reaching a favorable plea deal, or the discovering evidence that terminates the proceedings prior to the verdict, can still be done, even if your case does go to trial. Even if a guilty verdict falls against you – your defense team can still secure minimized sentencing and can challenge the outcome of the trial on appeal. A competent and experienced legal defense team will prepare to proactively represent you at trial if your court date is approaching and your case is pending. There are numerous steps your defense team can take, including cross-examining the government’s witnesses, questioning the government’s evidence, and presenting various legal defenses, before a verdict can be rendered. Rhode Island is divided into different federal districts. The Ocean State is part of the United States Court of Appeals for the First Circuit (in case citations, 1st Cir.). In the United States District Court for the District of Rhode Island, federal prosecutors are tasked to enforce federal law on behalf of the U.S. Department of Justice. Rhode Island contains one federal district, the United States District Court for the District of Rhode Island (in case citations, D. RI.). This district locates federal courthouses as well as branches of the Department of Justice, so-called U.S. Attorney’s Offices. The U.S. Attorney’s Offices employ federal prosecutors, also referred to as Assistant United States Attorneys (AUSA). The United States District Court for the District of Rhode Island (in case citations, D. RI.) covers the counties of Bristol, Kent, Newport, Providence, and Washington and it hosts federal courthouses and U.S. Attorney’s Offices in Providence (One Exchange Terrace, Federal Building and Courthouse, Providence, RI 02903). Our law firm will never employ junior associates or inexperienced attorneys. Our defense team understands the federal litigation process from both sides and will work hard to restore your freedom and way of life. The stakes are simply too high to entrust your case with inexperienced and junior attorneys. Asserting Affirmative Defenses – Instead of focusing on disputing that certain acts were committed, an affirmative defense instead showcases that these acts cannot constitute a crime under the circumstances in the case. An affirmative defense is usually used in tandem with challenging the government’s evidence outright. Challenging the Sufficiency of the Government’s Case – In a federal criminal proceeding, the burden of proof is on the government. The U.S. Attorney’s Office has the job of showing that multiple and complete “elements,” of a federal crime are present in order to prove that you or your business are guilty, in order to obtain a conviction. Our Rhode Island federal criminal defense lawyers will challenge the government’s case from all angles and poke holes in the prosecutor’s arguments. Disputing the Government’s Evidence – Often times – the evidence that the government utilizes is inadmissible because it is a result of the “fruit of the poisonous tree,” or simply hearsay. The government has the task of proving your guilt beyond a reasonable doubt and our task will be to dispute the admissibility and strength of the government’s evidence against you or your business. Asserting Constitutional Violations – Were you arrested without probable cause or stopped without reasonable suspicion? Were your Miranda rights read to you promptly? There are numerous Constitutional violations that could severely impact your case. Our lawyers will explore these issues and more. At Oberheiden, P.C. – we take pride in our many years of federal litigation experience and row of positive results for our clients. Our Rhode Island federal criminal defense lawyers have decades-worth of results in dropped charges on behalf of our clients across the spectrum, including health care providers, CEOs, and other high-profile individuals and businesses. Our attorneys will explain your options and next steps to you, and it all starts with a confidential and free case assessment. Our Rhode Island federal criminal defense attorneys take pride in knowing we have garnered a national reputation of successfully representing clients all over the U.S. – including Rhode Island, by focusing on federal litigation defense work. Oberheiden, P.C. has a nationally recognized source of experience and knowledge for clients and media outlets alike. The law firm’s founding attorney, Dr. Nick Oberheiden leads our practice and is joined by many talented attorneys, which include former state and federal prosecutors. Are you facing federal charges in Rhode Island? We urge you to contact us to speak to an attorney from our esteemed defense team. You can contact us 24/7. And if an attorney is not available immediately, we will schedule an appointment for you as soon as possible. Call our Rhode Island federal criminal defense attorneys at (888) 519-4897, or tell us how to reach you online now. This information has been prepared for informational purposes only and does not constitute legal advice. This information may constitute attorney advertising in some jurisdictions. Merely reading this information does not create an attorney-client relationship. Prior results do not guarantee similar outcomes in the future. Oberheiden, P.C. is a Texas professional corporation with its headquarters in Dallas. Mr. Oberheiden limits his practice to federal law.